The current concern over soaring gas prices has raised serious questions about the sustainability of what we commonly consider “the American dream”. Some urban boosters and environmentalists seem positively giddy about the prospects that suburbanites, reeling under the impact of high-energy prices, will soon be forced to give up their cars, backyards and highly regarded privacy for the pleasures of crowded multi-family homes and commutes on packed public transit to jobs downtown. This is part of a profoundly nostalgic notion that we can return to the 19th Century idyll .It is a kind of dream world where everyone walks on bustling streets, greeting their neighbors who sit on the front porch or hang out on a brownstone stoop. Of course, any serious student of history knows that life in urban America was hardly so idyllic --- with families of five or more packed into tiny three-room apartments in neighborhoods often characterized by gangs, unsanitary conditions and limited economic opportunities. One generally does not expect newspaper reporters to know, much less understand history. However, it would be nice if they bothered to look even at the recent facts. Yet to read The New York Times, the Washington Post and even The Wall Street Journal, you would think there is a mass movement out of automobiles into mass transit. Yet, in reality, they rarely note that the decline in driving is more than 30 times the increase in transit ridership. This is not to deny that transit ridership, after decades of relative decline, is rising, but statistically it remains relatively insignificant. That is because transit’s market share, outside New York, is barely one percent. However, why shouldn’t people take transit if it is a viable alternative to the car? The problem is that how we live, work and shop in most places simply does not work with transit; other trends, like a shift to cars that are more efficient, telecommuting and working closer to home all seem far more likely to shape our future transportation pattern. But where the really far off is with respect to demographic trends --- where people are moving. Readers are continuously misled about the imagined return of people from the suburbs to the city. The claim is that this has being going on since before energy prices really spiked but has become even more pronounced now. The demographic reality is quite at odds with these assertions, even now. For one thing suburbanization never was principally about moving from cities to suburbs, it was more about moving from small town and rural areas to the suburbs. Even in St. Louis, which has lost more of its population than any city since the Romans sacked Carthage, most new suburban residents were not from the city. Core counties of metropolitan areas continue to lose domestic migrants and have done so every year of this decade. There have been ups and downs, but in 2006-2007, more than 500,000 people moved out of core counties. Every year in the decade, from 34 to 39 of the 47 core counties have lost domestic migrants. In 2006-2007, 37 core counties lost domestic migrants. Suburban counties of metropolitan areas continue to gain domestic migrants and have done so every year of this decade. The trend has been generally downward, with more than a net 400,000 migration gain in 2000-2001, falling to a gain of 180,000 in 2006-2007. Every year in the decade, from suburban counties in 33 to 40 of the 47 metropolitan areas have gained domestic migrants. In 2006-2007, suburban domestic migration gains occurred in 33 metropolitan areas. Domestic migration was greater (or losses were lower) in the suburban counties of 39 of the 47 metropolitan areas in 2006-2007. During the decade, this figure has ranged from 38 to 42. The decline in domestic migration to the suburbs, however, does not suggest that people are moving back to the city. On the contrary, it may suggest even greater decentralization as people move from the suburbs, as well as core cities, of major metropolitan areas to smaller urban areas and perhaps even rural areas. Perhaps it is being made possible by advances in information technology and telecommuting. To some degree, it is people “voting with their feet” often due to high housing prices, failing schools and congested conditions even in suburbs of large metropolitan centers. Basically, from a statistical point of view, there is simply no hard evidence of any material movement of people from suburbs to cities. Between 2000 and 2007, millions of people moved from the most expensive housing markets to more affordable markets --- in many times prices made worse by land use policies commonly imposed in some areas. The reality is that people are adaptable to changing conditions. They will work to preserve the lifestyles they prefer. They will buy more fuel efficient cars; they will work and recreate closer to home. 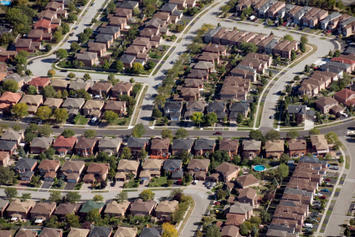 A decade from now, we will likely find that the reports of suburban demise will be greatly exaggerated once again. Submitted by ymouel on Mon, 05/25/2015 - 08:03. I am so impressed to read your content. I am looking forward for the next valuable and informative concept in your blog. Submitted by djonet0004 on Tue, 03/31/2015 - 13:03. Submitted by consy1992 on Fri, 04/24/2015 - 23:42. Submitted by djonet0004 on Mon, 03/30/2015 - 16:23.
a weight loss coach in California. Tyler, popularly known as Garage Warrior. Submitted by djonet0004 on Mon, 03/30/2015 - 13:44. I found that site very usefull and this survey is very cirious, I ' ve never seen a blog that demand a survey for this actions, very curious.. Submitted by uofix on Sat, 09/13/2014 - 09:48. Submitted by uofix on Sat, 09/13/2014 - 06:14. Submitted by uofix on Wed, 09/03/2014 - 05:30. Submitted by cartercj1122 on Tue, 08/05/2014 - 08:47. Submitted by cartercj1122 on Sat, 08/02/2014 - 08:25.